Good news for us Cornish! We are now officially recognised as a nation minority, along with the Welsh, Scottish and Irish! Our culture, language and history as sometime sbeen brushed aside, but now we will stand out along side our Celtic brothers in pride. 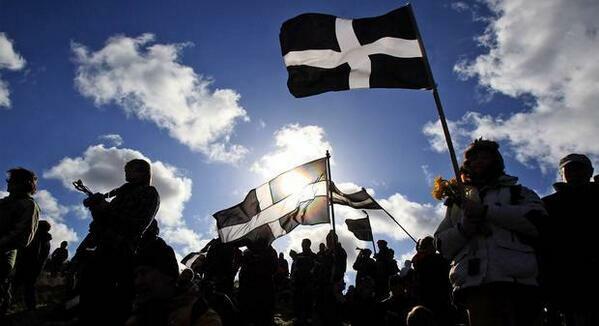 “The status of a national minority group, made under a European convention to protect them, means that the Cornish now have the same rights and protections as the more established members of Britain’s Celtic fringe.” – Independant.